Whether it’s lumpy gravy, dry turkey breast or tasteless potatoes – we’ve all been there. 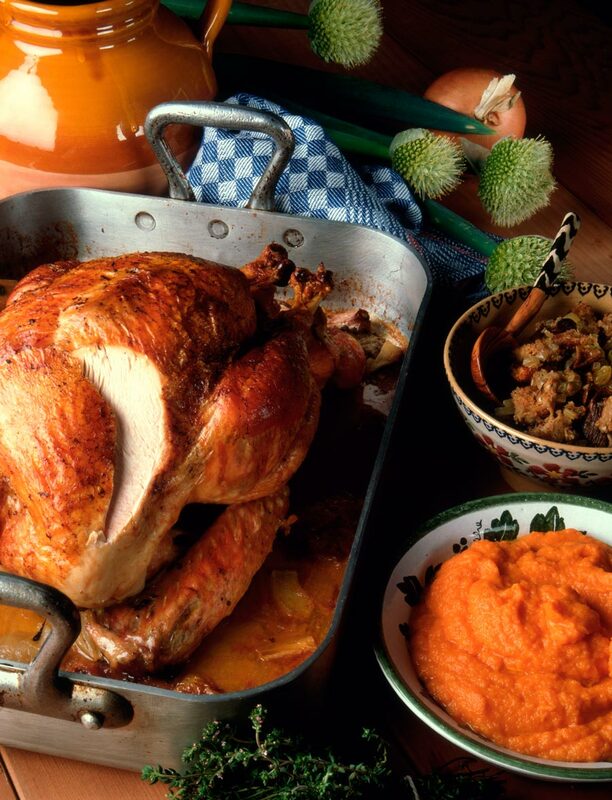 Hosting a holiday meal can be overwhelming and daunting for even the most experienced. No matter how long you’ve been carving the turkey, there’s always something new to learn to make sure everything tastes just right. We brought our biggest turkey meal problems to Brassai’s head chef Marcus Monteiro for his best advice on how to pull off a successful meal this Christmas. Brining is key to not only getting a juicy turkey but also getting a crisp skin. Monteiro suggests, “A cup of salt. Typically kosher is what we would use in the kitchen. One and a quarter cup of granulated sugar. And then garlic. About 6 cloves of garlic, crushed. And the next step is to put whatever you want in it. Finish with four liters of warm water” Choose flavourings that resonate with your culture. If you debone it first, simply place the pieces of meat in a sealed bag with the brine. Leave the meat in the brine for about 24 hours. The sugar content in the brine will help brown and crisp the skin. When you’ve gone too far with the milk or cream, consider whipping the potatoes. “Especially if you have a Kitchenaid machine or a really big bowl or a really strong arm with a whisk. Whipping the potato makes it light and fluffier.” Monteiro also suggests trying squash as an alternative to potatoes or even trying half and half.